Sometimes you want to use Windows 10 or Windows 8, Skype, OneDrive, Xbox, Office 365, Windows 8.1 or Windows 10 mobile phone, Windows Store and more services. If you have one Microsoft account then you can use Microsoft all services. At first, you need to create a Microsoft account. After that, you can login Microsoft all services using this account email address and password or phone number and password. 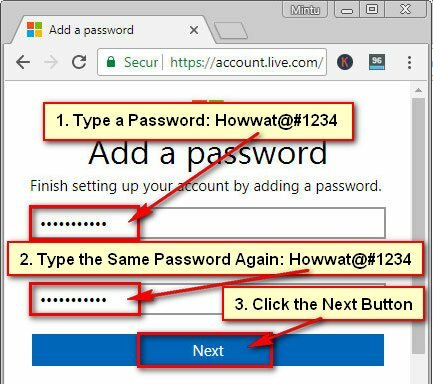 Today I will show you how to sign in to Microsoft account using an email address or mobile number. 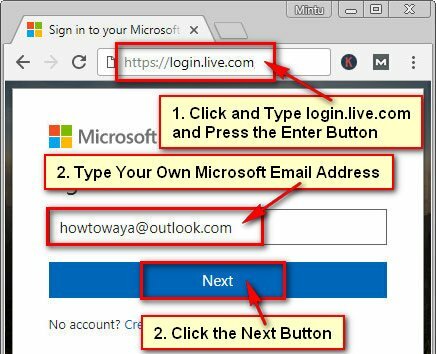 Follow the first method if you want to Microsoft sign in using your Microsoft email address. 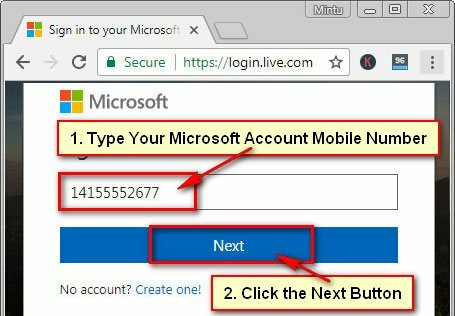 Follow the second method if you want to login Microsoft account using your mobile number. 1. Open the internet browser, type the address bar login.live.com and press the Enter button to open Microsoft website. 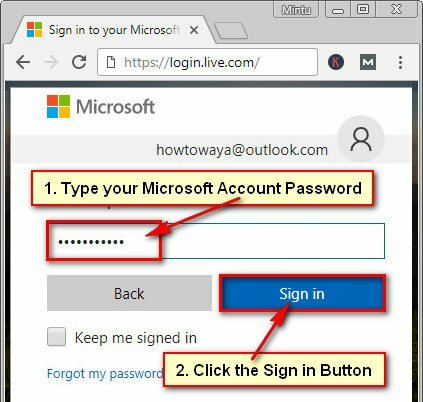 Click the Email, phone, or Skype box and type your Microsoft account email address to Sign in Microsoft account using your Microsoft email address. Tips: Don’t type this email address type your own email address. 2. You will see a new page with your Microsoft email address. Click up to the Password box and type your Microsoft account password. Tips: Click up to the Keep me signed in redial box to check this box, if you want to keep the sign in on your computer or mobile phone. If you don’t use your personal computer or mobile then don’t click this redial box. Click the Sign in button to sign in to Microsoft account from your computer or mobile. After that, you will successfully login your Microsoft account. 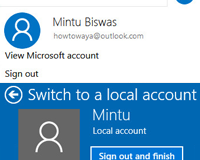 You will see your Microsoft account name with your Email address. 1. Open your internet browser, type the web address bar login.live.com and press Enter button from the keyboard to open Microsoft login page. 2. Click up to the Email, phone, or Skye box and type your mobile number. Tips: You can login your Microsoft account using your mobile number if you already create a Microsoft account using your mobile number. 3. You will see a new page with your mobile number. You will receive a code in your mobile phone message inbox. Check your mobile phone message inbox to collect the code. 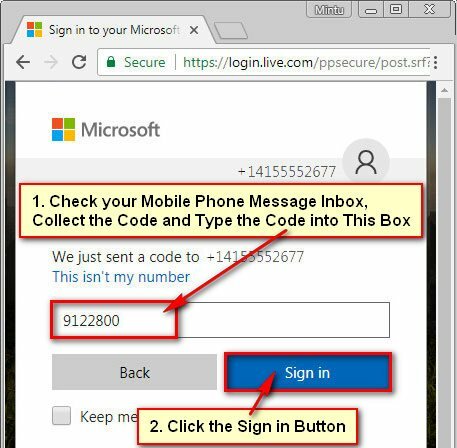 Click the Enter code box and type the code what you will find your mobile message inbox to login Microsoft account. 4. If you not set a password for your Microsoft account then you will see Add a password page. Next time you can log in to your Microsoft account using your mobile number and password. Click the Create password box and type a password for your account. Click on the Reenter password box and type the same password again. Press the Next button to Microsoft sign-in account. You will receive a password change message into your mobile phone. 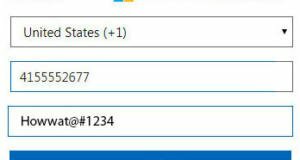 You will see your Microsoft account name with your mobile number after sign in Microsoft account. Using this way, you can easily sign in to Microsoft account using your email address or mobile number.